If it’s your first time buying a luxury watch, then look no further than TAG Heuer. This well established Swiss watchmaking house have been tirelessly innovating for decades, while maintaining their own distinct sense of style. With a wealth of options to choose from in terms of aesthetic, functionality and material, there really Is a TAG Heuer watch out there for everyone. We love this ladies Aquaracer, crafted from stainless steel for a sophisticated look, but maintaining a touch of modernity in the chic rose gold bi-colour. Whereas some watch brands are known for producing big chunky, statement watches, Longines are all about the combination of simplicity and elegance. These ladies watches are minimal, yet effortlessly stylish. Perfect for the practical yet fashion conscious woman. The cool blue dial of this Flagship watch is right on trend, while still looking timelessly sophisticated. Watches can be far more than just a fashion accessory, and this Gucci timepiece illustrates that perfectly. Featuring two handy chronograph functions, this watch would be ideal for the keen athlete. The ceramic bracelet and scratch resistant crystal glass make this an incredibly durable timepiece. Find out more about this beautiful Gucci G Chronograph here. You simply cannot go wrong with a Rolex. Arguably the most desirable watch brand out there, this horological powerhouse make some of the most stunning watches of all time. If you don’t want to completely splurge, consider buying a fully serviced pre-owned model. This is a great way to get the maximum value for your money. 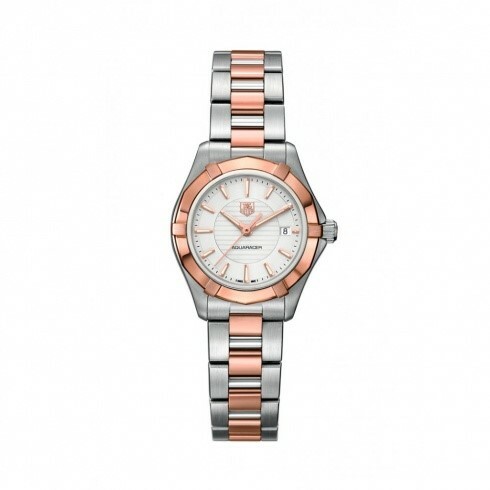 We love this pre-owned ladies Date Just – a truly classic timepiece, and at an excellent price. Looking for an extra special watch? Consider an ultra luxe brand like Jaeger Le Coultre. These high-end timepieces are the crème de la crème of watchmaking and guaranteed to be the most special accessory that you will ever own. Choose an unforgettable piece like this stainless steel ladies Reverso for maximum effect. We hope you enjoyed this guide to the top ladies watch brands in 2016. If you have any more questions at all, please do get In touch with us on Facebook, Twitter, Instagram or Pinterest. Alternatively, feel free to email us with any queries at [email protected]. Happy watch shopping!